Over the weekend, there was a big announcement that the first season of Matt Groening's first new show in 20 years will be released on August 17th. Unless you've been living under a rock, you're familiar with Matt's other shows, Futurama, and The Simpsons, which has been running approximately since the dawn of mankind. 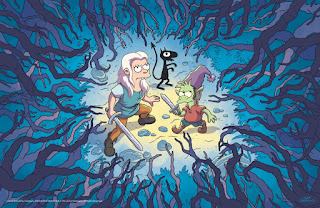 The new series, which will release ten episodes for its first season on Netflix, is called Disenchantment (not to be confused with Disenchanted, the upcoming sequel to Disney's 2007 Enchanted). In a surprise move for Matt Groening, Disenchantment will be starring a princess! Bean, our new heroine, is described as a "hard-drinking princess who decided ruling a kingdom is boring and sets out on a series of misadventures with an elf named, err, Elfo and her very own demon, Luci." This is groundbreaking territory for princess culture in many ways. Even though very little has been revealed about the show thus far aside from four promo images, Bean is clearly the central character. 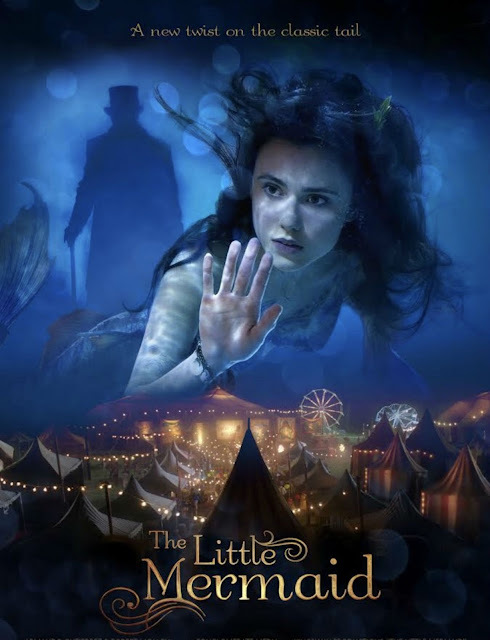 With an elf and demon as her sidekicks, there appears to be no male lead announced to share the spotlight with her. 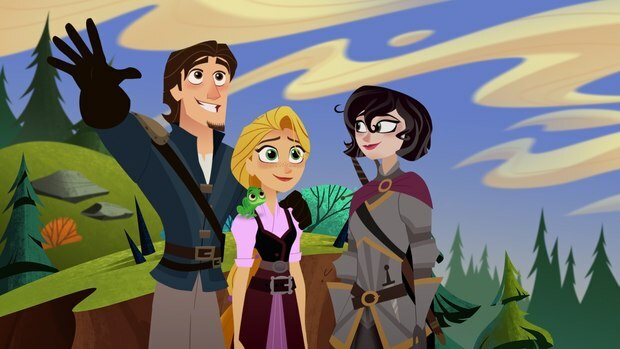 For an adult comedy series, that's a huge revelation, and quite possibly a first for animation. 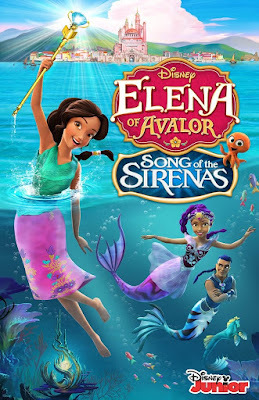 Most princess parodies such as the Shrek franchise, Drawn Together, and Dave the Barbarian use the princess character as a secondary pawn for the more important characters to play off in a humorous way. Even Disney's Enchanted devoted a good deal of screen time to Robert, Giselle's love interest, despite Giselle being the main character. This is also an issue that has affected women in the animation industry for years. 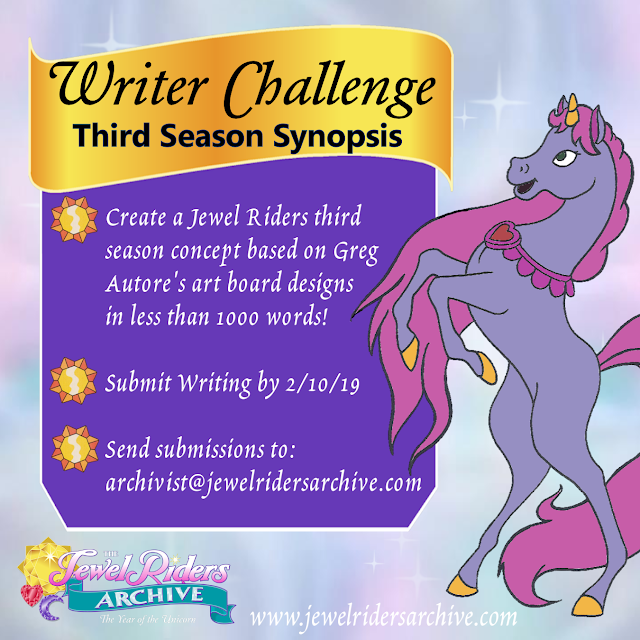 Sexist comments about how women can't be funny are exactly the sort of thing that female artists like Amy Mebberson and Rachel Bloom have been trying to refute with the Pocket Princesses comic and the groundbreaking Crazy Ex-Girlfriend musical comedy series, respectively. Having an unapologetic female lead is also a first for a Matt Groening series in general. The Simpsons and Futurama both have huge ensemble casts, but Homer Simpson, Bart Simpson, and Fry were the characters that the audience was meant to relate to the most, despite Marge Simpson, Lisa Simpson, and Leela being far more intelligent and capable than their male counterparts. Leela from Futurama, in particular, is one of my all-time favorite cartoon characters due to her complex backstory, comedic timing, and fierce independence. 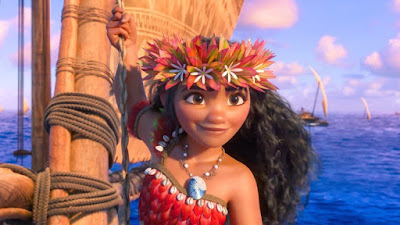 If Matt can create as strong a heroine as Leila, I'm not too concerned about Princess Bean turning out to be a dud. 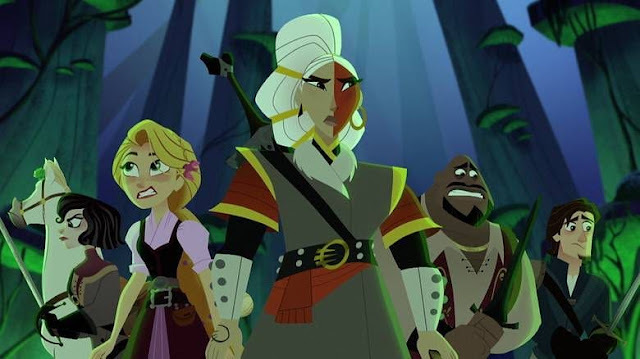 The fact that she's a cynical alcoholic and not to be your everyday happy-go-lucky innocent damsel in distress also makes her more relatable to me as an older princess fan, even though I don't drink. 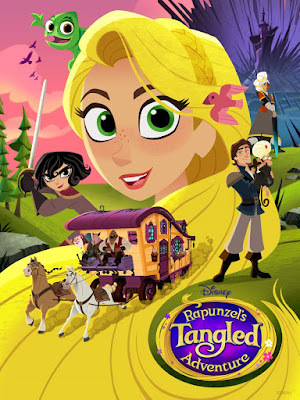 I also love that the show is strictly aimed at adults because it forces audiences to question the stigma that animated princesses are only meant for children. 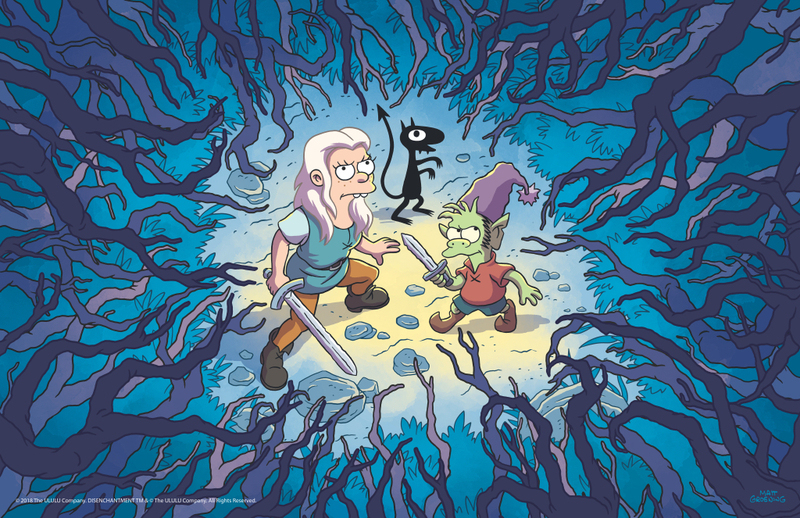 Disenchantment is described as "if The Simpsons fornicated with Game of Thrones." Though I absolutely can't stand Game of Thrones, I'm more comfortable with the idea of it being satirized in a Rick and Morty style parody setting. 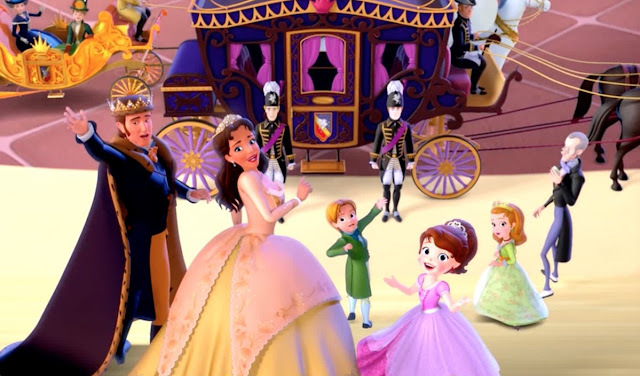 I also love all of the subtle fairy tale references that were released in the first batch of promo images, which further push the idea that fairy tales can be molded toward at adults just as easily as children. Take a look at these images of Bean in what appears to be Rapunzel's tower and Maleficent's deadly thorn woods. 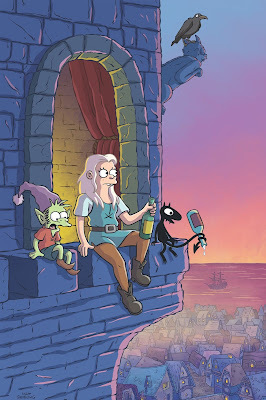 Basically, Disenchantment is kind of a big deal. 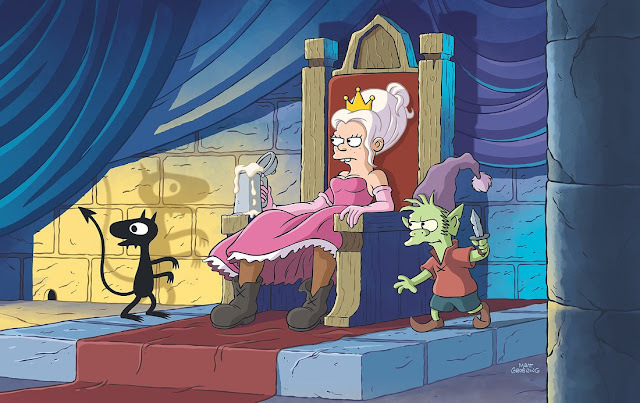 Considering the monumental impact that Matt Groening's shows have had on our culture in the past, Bean is all ready to show the world that fairy tale princesses can be funny, cynical, relatable and enjoyed by older audiences. I know that hype can be a dangerous thing. Some of my theories about episodes of other shows that I hadn't seen yet have been proven wrong in the past. I sincerely hope that I'm not wrong about this one. Everything about Disenchantment looks refreshing and groundbreaking. I'm eager to have a cynical older princess who I can relate to.